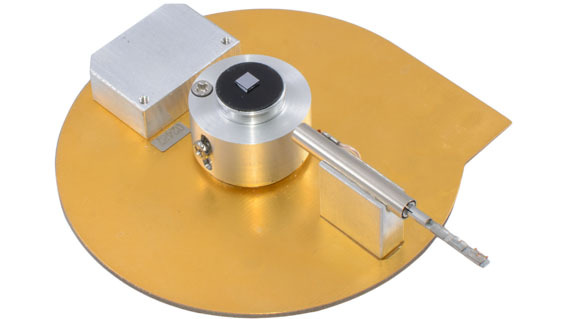 The RoTip Shuttle is a stand-alone rotational axis for use in conjunction with the MM3A-EM micromanipulator. It enhances your system by providing a fourth degree of freedom that is required for numerous SEM and FIB applications. Utilizing a load lockable base, the RoTip Shuttle can be introduced into the vacuum chamber without venting. 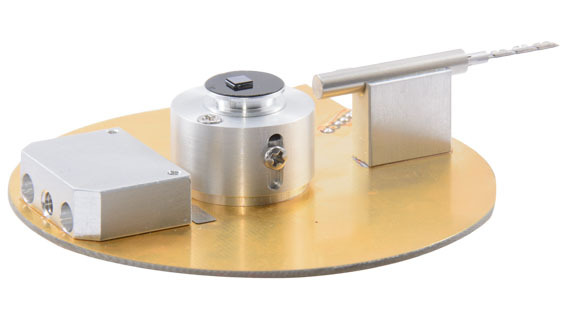 The RoTip Shuttle is equipped with a receptacle for standard microscopy stubs so that the platform can be fitted with a sample as well as a TEM grid holder. A TEM grid holder or a larger sample can be inserted into the front of the axis and rotated with a resolution of 0.1° per step, allowing applications such as advanced TEM prep, tomography and STEM to be performed with ease. Your existing MM3A-EM micromanipulator system can be quickly and easily upgraded for use with the RoTip Shuttle.